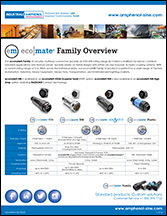 In design and conception the Ecomate® program meets the high requirements for applications in industrial technology. Easy operation, reduced dimensions and a more robust design are only a few of the features of the series. The connector’s main area of application is in the fields of plant construction and machine building. 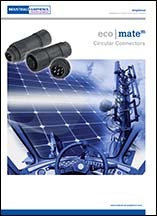 The connector is used for measuring and controlling applications as well as for power supply technology. The series is comprised of a large selection of housings and shapes and offers models with screw, solder and crimp termination. 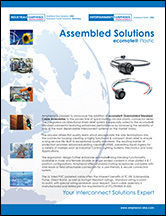 Visit Ecomate Overmolded Cable-Assemblies for available turn-key options. • The program is compatible with the C16-1 Series.